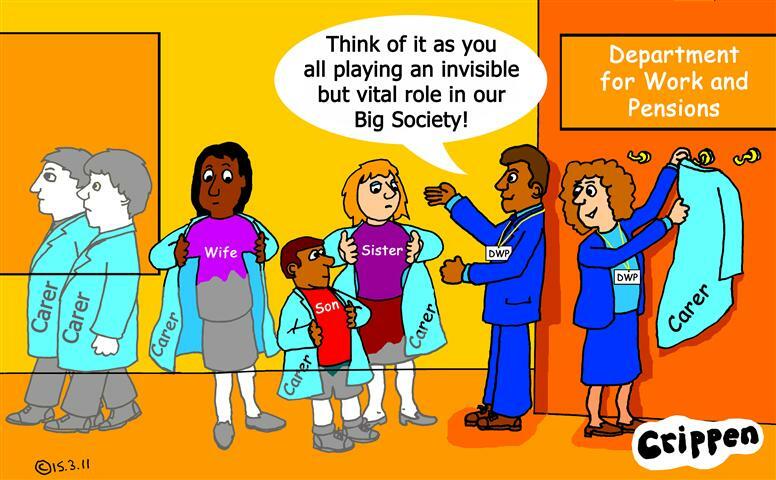 The onslaught to carers and their families continues…. The onslaught to carers and their families continues. Welfare cuts are starting to hit harder, bedroom tax, cuts to vital services, closure of Independent Living Fund. Benefits being changed all around and yet the lowest of them all, Carers… Allowance is once again ignored. Iain Duncan Smith only ‘reformed’ those benefits that could be cut and/or criteria tightened. He has failed carers, many of whom will be hit with a double whammy if the person they care for loses the qualifying amount of Disability Living Allowance. The whole safety net of SOCIAL SECURITY is being stripped away. It may not affect you now but it could do. PLEASE SHARE IF YOU CARE ABOUT THE FUTURE OF DISABLED PEOPLE AND CARERS. This entry was posted on 21 May 2013 at 15:09 and is filed under Carers. You can follow any responses to this entry through the RSS 2.0 feed. You can leave a response, or trackback from your own site.